This institute is one among the premier institution located in the NCR region of India, catering education right from nursery to post graduation. The institute aims at catering education, learning and research at a high level to develop the young minds into professionals. The institute has maintained excellent infrastructure facilities to provide comfortable learning environment to the students within the campus. The institute has serene view campus along with modern technological amenities. The institute conducted campus recruitment by inviting companies of high repute and placement their students with excellent packages. The institute provides scholarship and honors to the students based on the academic track record in the qualifying exanimation. The education delivered to the students is accepted in all parts of the world though through dedicated faculty chain. Axis bank, Eureka Forbes, Stellar group, Hella, Hero etc. Best college in 2015, Smart India Hackathon, Best MCA College, National Award of Excellence for placements etc. Students here are encouraged to participates in various sports and are allowed to participate in many inter college sports and cultural activities. Organizes national and international conferences, industrial visits and expert lectures. Games like skating, cricket, handball, basketball, horse riding, football and volleyball facilities are regularly provided. It makes collaboration with IIT-Delhi for virtual labs and IIT Bombay for spoken tutorials. The college gives training for students to intensify their knowledge. It even extends its guidance towards the students who are aiming for higher studies like GATE, GRE & TOEFL and to choose other universities. 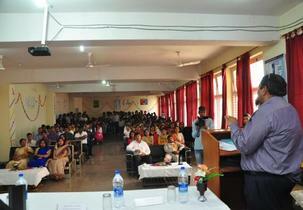 It advices and motivates the students by providing required help for their personality development. Training and placement cell organizes various sessions of aptitude test, group discussion and guidance programs on how to face interviews. It even assists the students on their final ear project works. Well-furnished and well maintained hostels are provided separately for boys and girls in the college premises. Hygienic food is provided by the mess. Dedicated warden is allotted to look after the well-being of the hostlers. Electricity and water supply around the clock Power back up with Wi-Fi and separate T.V facility. Special feast is prepared on Sunday and on festival days. Professional security is provided 24hrs.Paid laundry service is provided for students and they will have access to indoor sports and gymnasium 24/7 library facility. lateral b-tech admission in computer science & eng.? 12 pass from CBSE last date of bca admission and course fee? i wanna admission in your campus in bca course? I want admission in GGIT? Candidates should obtain a minimum of 50% aggregate in 10+2 (PCM) for Ganga Group of Institutions admission. A valid score is a must for a candidate to obtain in JEE Mains entrance test for Ganga Group of Institutions admission. Candidates meeting all the above mentioned eligibility criteria shall be qualified for the Ganga Group of Institutions admission. Are you Interested inGanga Group of Institutions Delhi"? Please provide the following details.